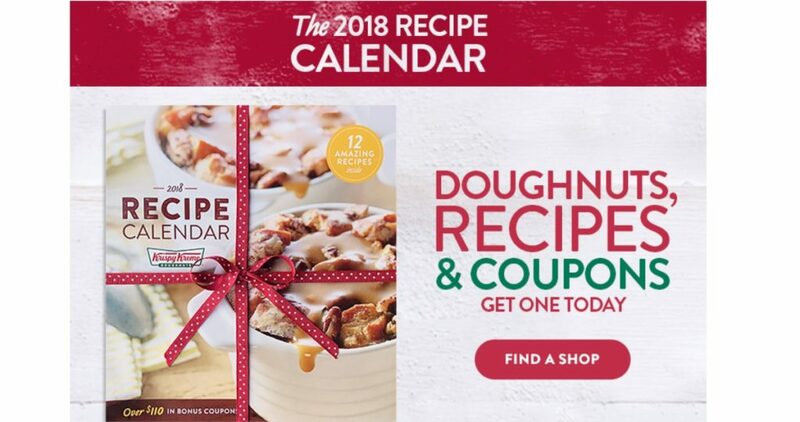 Krispy Kreme Rewards Members can get 50% off the 2018 Recipe Calendar. Show your Rewards Barcode at the register. This is a great gift idea! Although prices for this calendar may vary based on where you live, this calendar is is $8 at my store so $4 with this offer. This calendar has over $110 in bonus coupons.